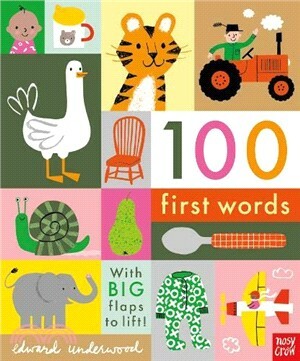 First word books tend to be either informative but unattractive, OR super-stylish but completely un-child-friendly! Unusually, this gorgeous new board book is both informative AND super-stylish! It's all down to Edward Underwood's gorgeous artwork, of course, which has an edgy mid-century cool as well as a warmth, which lends the book an appeal that's hard to achieve.